If you are just starting to meditate or if you are already comfortable with it, you may know that it isn’t always easy. It isn’t always easy to just lay down in a comfortable position and shut your mind off completely. It may seem an impossible task at first. We are so used to always being on the run, always thinking, always doing something, and when the time comes, when we decide that we should quiet our minds for a little while, when we decide that it is time to take a break from all the craziness we experience on a regular basis, we might realize that it’s not so easy and this is exactly what I want to talk about today. So how should you go about? How do you start and how do you get comfortable with it’ how can you turn meditation into a daily practice? Well, the first thing you will have to do is ask yourself: Why do I want to meditate; Why do I want to do this? To find a strong motivation is really important. When the time comes for you to go in silence, you want to really be excited about it, to do with pleasure, and not to put it on the side. There are so many incredible benefits that come from practicing meditation, and if you go over them all, you will want to get started with meditation right away. Once you have found the inner fire to keep you going on this road, and once you light this inner fire, you will have to set your intentions. What is it that you want to improve, what is it that you want to achieve? What are the results, what are your intentions? Once you get an idea of the things you will want to accomplish by meditating, promise yourself that you will stay focused, and offer yourself, in the beginning, at least 10 minutes of silence every day – 5 minutes in the morning and 5 minutes before going to bed. Give yourself some quiet time to refresh and rejuvenate your mind, your heart, and your spirit. You deserve the best, and by building this positive, healthy and powerful daily routine, you will do just that. And of course, it’s not just about meditation, it’s more than that. You discipline yourself to do things that benefit you the most, you discipline yourself to build positive and healthy new habits that will benefit you and those around you. Of course, it’s great to find the motivation and to set your intentions, but they mean nothing if you don’t take proper action right? 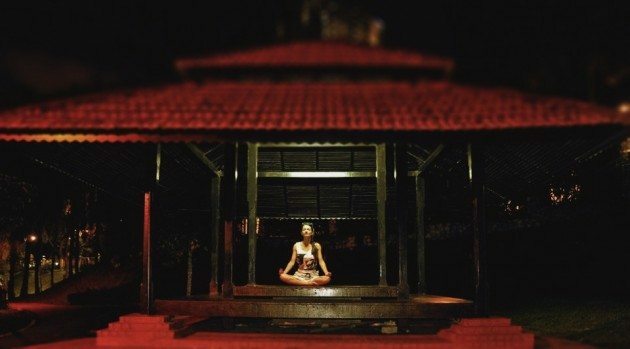 When you wake up, if you are a beginner, you can meditate for at least 5 minutes, and as time goes by, you will be able to stretch, and you will do this for 10 minutes, 15, 30 and even an hour, because believe me, you will love every minute and every second of that time you spend in silence. And of course, it’s so important, before we go to bed, to do the same thing, once again, and to really clear our minds of everything that happened during the day so that we can have a good night sleep, and to wake up refreshed and renewed. Meditation is such a beautiful and powerful daily practice, and with it comes so many incredible and powerful benefits, and you will learn to be more relaxed and detached from all the challenges you face on a daily basis, you will learn to be more present and engaged in everything you do, among others, and you will feel younger, lighter and healthier, and who doesn’t want that? Like this post? Then sign-up for our “Daily Dose of Inspiration” Newsletter. It’s FREE! Over 30,000 like-minded people have already registered. I was under the assumption that we don’t think about motivation, benefit, or anything during meditation. If this works, maybe I will try it. Calvin, during the meditation you don’t, but this is more for those who might want to get started but somehow they find all kind of excuses not to do it. With a 6 month old and a 2 1/2 year old, I could definitely use more aptience! I’ve been reading “Everyday Blessings: The Inner Work of Mindful Parenting” and I really want to try to make meditation a daily practice in my life.